Nothing too elaborate for a monday. 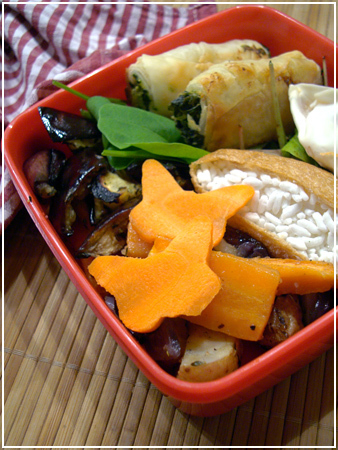 Ovenbaked potato, carrot, onion and eggplant from dinner, spinach-feta rolls, rucola and freezer staple inarizushi and dumpling. 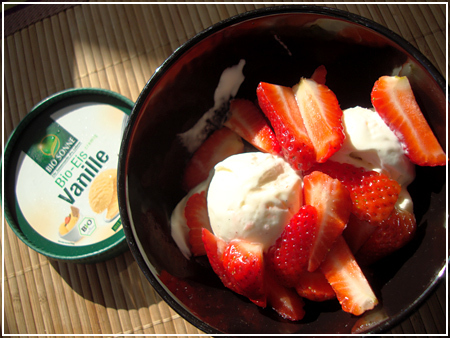 Something simple for a Monday… at least it’s a short week this week, yay for red days! 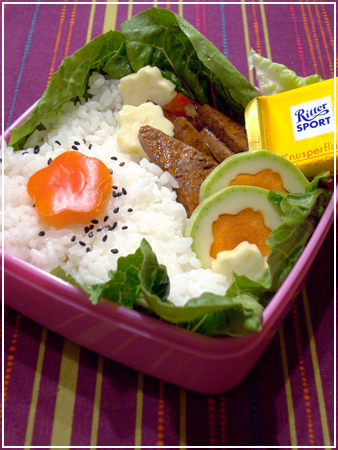 Rice, bell pepper flower, teriyaki tofu, zucchini slices with carrot cutouts, and a Ritter Sport chocolate for dessert. Had training all last week and lunch was included, so I didn’t get to bring a bento. 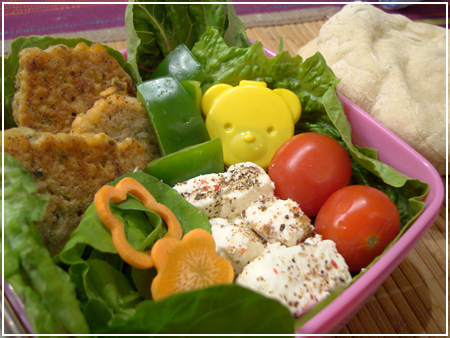 In balance, today a super-simple but super tasty bento lunch! 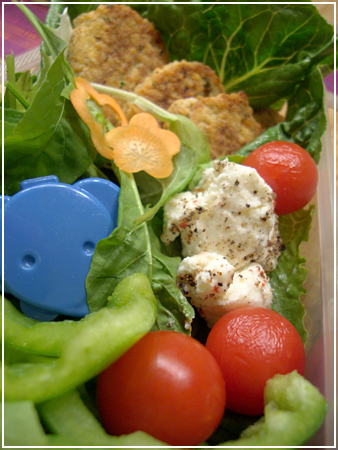 Lentil patties, rucola and lettuce from the windowsill, cherry tomatoes, feta rolled in black and pink pepper, bell pepper and vinaigrette (balsamico and olive oil) in the bear cup. I’m bringing homemade pita bread on the side. BF’s box, basically the same! I like the crop I got in this photo.